PTH 1A follows the former route of PTH 1 through Portage la Prairie along Saskatchewan Avenue. 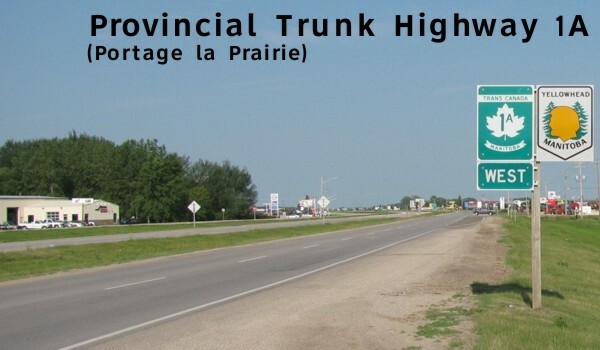 After the construction of the bypass around the city, the route through Portage la Prairie was redesignated as PTH 1A and it also shares a ceremonial Yellowhead designation along with PTH 1. 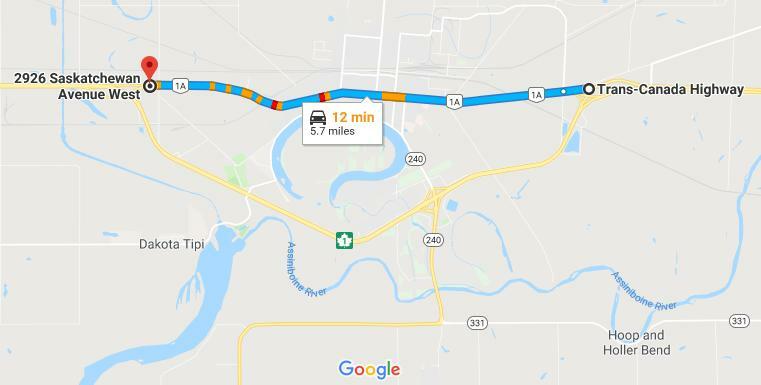 Click here to show the route. Eastern Terminus: Junction of PTH 1 east of Portage la Prairie. 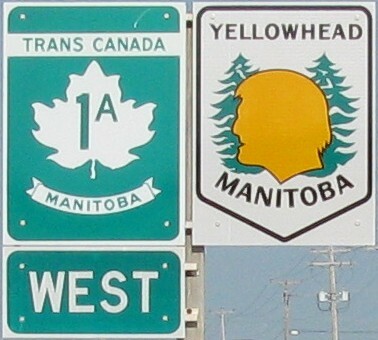 Western Terminus: Junction of PTH 1 west of Portage la Prairie. Multiplexes: PR 240 follows PTH 1A between 5th Street East and Tupper Street.